Do people still meet in the WILD? Or is In-App and Online dating where it’s at? Once upon a time, in an age before the internet, the only way to meet people was to leave the house and interact with humanity. I know it’s a scary thought — leaving your couch, taking off your leggings, putting your Netflix binging on pause and going out to meet people in the wild — but that’s just how the world worked. I grew up in an age where kids knocked on my front door to see if I wanted to play and boys rang the house asking you out on a date. And no! I’m not over 100 years old. We have seen so many technological advancements in the past 10 years that have had a massive impact on the way we humans interact with other humans. These days, my 11 year old son calls me on Snapchat and organises his social calendar via in-app messaging on social apps like Instagram, Facebook and Musically. It’s a fact that more people in the world today have access to mobile phones than toilets. And even though a staggering 6 billion people in our world have access to a mobile phone, we use them to talk less and text more. Other than my mum, who prefers to FaceTime, even though we see more of her ear than her face when she does. The world surely is a different place now, but considering how long the human race existed before the dawn of the interweb and online dating, it looks like meeting people in the wild has actually been working for most of us for a very long time. Think about it – Adam and Eve met in a garden, Prince Charles met Diana via mutual friends at a polo game and I met my husband in a taxi… but that’s a whole other story. I’ve done the online dating thing. Albeit, it be brief. Almost 10 years ago, my godmother signed me up to RSVP, literally cutting and pasting her award winning profile (the one she used to score her husband) and said, “off you go…go and meet your Mr Right”. Eeeeek! I must admit, it was a nice distraction and it felt good having that part of my brain occupied after being single for over a year and raising a child on my own. But I never had a ‘real’ connection with any of the people I met online regardless of whether we dated for a week or a month. I decided to turn my profile off for good, when on a subsequent 3rd date with one young suitor…’Mr Not So Right’ proposed to me in a very crowded and public hotel lobby bar on Collins Street in Melbourne. You see, as it turns out he was studying NLP and felt an instant urge to seize the moment. He literally lost his mind in the same way Tom Cruise did the week prior on the Oprah Winfrey Show. Just like the time where Tom goes crazy and jumps up and down on Oprah’s couch declaring his love for Katie Holmes. “Mr Not So Right”, got down on one knee and announced his unconditional love for me, asking me to marry him. Awk! Ward! After this I decided that the world of online dating was probably not the best place for me to be and so I continued to meet meet men in the wild including my now-husband. Has Technology Taken Over Our Primal Instinct of Hunting in the Wild? Recently there was some talk around the office about all these new apps and ‘traps’ that I’d never heard of. And, with Valentines Day drawing closer, I was intrigued to find out whether people actually still met in real life or if technology has taken over our primal instinct of hunting and being hunted? And it appears amongst my circles there’s a pretty even mixed divide. With those ‘just happy being single and living’ and seeing what the wild throws their way, whilst others let their fingers do the hunting, by swiping left or right. A few weeks ago I consulted with ‘tribal council’ (my single female and male friends) and as it turns out, a handful of them have tuned out of the app based and online dating scene. Whilst the other half are still enjoying the thrill, variety and the impermanency of the relationships that tend to bloom, (even if most never blossom) on sites like OkCupid and Tinder. Even though these apps are still taking up space on their mobile phones. It appears my friends who have tuned out (at least for now) are searching for “genuine connection” rather than instant gratification. They also mentioned a few overt strategies they used to meet people in the wild. Even if you know, for a fact, that you will never date any of your coworkers (which is probably a good thing), you never know who they might ask, from the outside world to tag along. if you’re going to meet someone in the wild, you have to venture out into the real world. Expanding our social circle, or at the very least, keeping it intact, is very important when you’re trying to meet someone. If the Instagram account Hot Dudes Reading has taught us anything, it’s that public transport is an oyster of attractive people who may be your ideal match. (Of course, this doesn’t mean they’re all single.) Next time you see a hot person reading a book you love, consider striking up a conversation with them about it. Making eyes at the cutie across from you the whole ride? Consider handing them a piece of paper with your number before you get off the train. Sure, it’s brave — but it’s also a thrill. Just avoid making eye contact on public transport while eating a banana, but you never know that could work for you too. Did I mention men. No more explanation needed here, move on to point number 5. Hello Ladies! On our recent summer holiday my single friend Lenny recently asked if I would join him at Yoga. Yes this did involved 7am starts, but in amongst the wild of downward dogs and dancing camels he followed point 5 below and landed himself a date with one of the yoga instructors. Yes, randoms who think it’s OK to talk to you when you’re deep into instgraming something intensely important about your lunch, can be really annoying, but sometimes when you give strangers the opportunity to talk to you, it can actually be worthwhile. Of course, you need to be safe and should never feel harassed. As a person who loves dogs more than humans, I’m not suggesting that dogs are some sort of fashion accessory here. What they are are magical, furry friends that, if you have the time, not only make you a happier person, but get you hitting up the dog park or beach on a regular basis. That right there is opening you up to meeting new people in the wild. It’s amazing how many times my dogs Richard and Barbara, have been conversation starters. Just remember to ask for the humans name too and introduce yourself, not just your dog. Remember how it was so easy to meet people when you were at school? You can do that again. Even if you haven’t been to school in years, you can always learn something new. Sign up for a cooking class, a photography class, or finally learn how to stand-up-paddleboard. So perhaps being set up by your Auntie Doris is going to result in a yawn worthy event because Aunt Doris never really understood you. But if a friend wants to set you up on a date, Jump at the opportunity. Your friends know you well enough to know what type of person you will click with. Before you roll your eyes at the thought of this, this really is the premium scenario for meeting people in the wild. Back when I used to drink like every day was my last day on earth, I was one of a dozen regulars at a couple or cafes and bars in my local neighbourhood which proved a great way to meet people. There’s something about being a fixture in a place you’re comfortable (that isn’t your home) that gives you the confidence to talk to people. Frequent your favorite cafe, bar, bookstore, restaurant, or place to listen to live music and see how it feels to become a regular. Two big things happen when you’re alone: You’ll find that you’re more likely to talk to people and people are more likely to talk to you. When you’re with your friends it can be intimidating for someone to come up to you, but when you’re flying solo it’s easier for someone who might want to get to know you to make their move. If you’re shy about going out alone, bring a book or a journal at first, and take small steps to get comfortable with the feeling. Consider trying not to look at your phone all night, and see what happens. And, if all that fails and you find yourself lost in the jungle and aching for some tech savvy tools to guide you. These up and coming platforms offer you all the necessary tools that will help you communicate with other unattached humans. They give you the possibility to meet singles in your area who in the wild you may not have the chance to get in touch with. This free dating app is primarily a hot or not style swiping game, in which members must match to communicate, but rather than allowing either party to get the conversation rolling (which in present-day online dating times is still primarily an activity men are tasked with), on Bumble females must initiate the conversation – a key feature that has attracted a large female user-base to the hookup app. This app uses a proprietary algorithm to match members to a suitable friend of a friend, based on their Facebook connections and factors such as their age, education and religious preference. Developed by 3 sisters who appeared on the US reality show Shark Tank and turned down a takeover offer of $30 million from billionaire Cuban. They have raised $11 million in capital to date from a range of investors, including Silicon Valley firms Quest Venture Partners and DCM Ventures. These guys believe in love and have swiped left on swiping all together. Apparently, Hinge closes the door on casual dating to focus on serious relationships, members can comment on your photos to strike up a conversation. 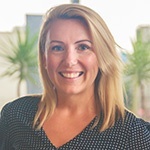 Author Bio:Anastasia Lambadaridis-Heggie is the Marketing Communications Manager at Melbourne based digital marketing agency BizWisdom. Anastasia is passionate about creating unique brand experiences and gold standard campaigns that drive behavioral change and ROI. In this fast paced digital age, Anastasia aims to add back the ‘human touch’ in our interactions and connections. Anastasia holds a Bachelor of Commerce and Applied Science, and innately understands social norms and emotional triggers that drive and impact consumer behavior. Anastasia also runs Melbourne’s ecofriendly beauty brand, save our skin and uses these natural products as a vehicle to promote social change and healthy living.